Wind deflectors are the most popular accessory for convertible cars. They started out on German luxury convertibles and are now available for most modern and some classic convertibles. You will Love your convertible more with a wind deflector installed. Wind Deflectors reduce the wind blast and noise by up to 75%. It allows you to drive your convertible earlier in the Spring, later in the Fall and in more comfort all year long. You can listen to music or talk to passenger even at highway speeds. No modifications are required to your convertible. 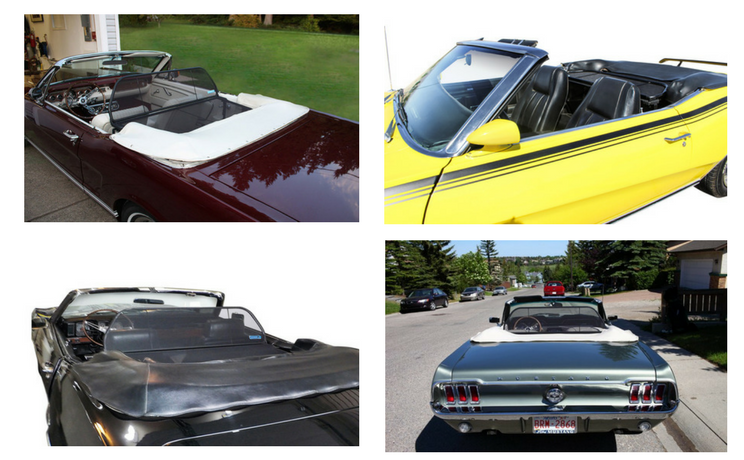 The wind deflector can be installed or removed from your convertible in under 30 seconds. The wind deflector can be left in place with the top up or down. Easily stores in the trunk when back seat is needed. Free storage bag included. See and Feel why Wind Deflectors are the #1 convertible accessory! At Love the Drive™, we designed convertible wind deflectors to help you get the most pleasure out of your convertible. It’s an easy and affordable way to maximize your time in your convertible and ensuring a fun, quiet, and relaxed drive. Extend your convertible season: Because the wind deflector redirects wind over the back of your convertible, you can drive with top down earlier in the Spring and later into the Fall and in more comfort all year round. Visual appeal: Wind deflectors offer a sleek, streamlined design that won’t detract from the beauty of your convertible. Install easily: Each wind deflector is custom made for each convertible make and model, so you can rest assured your’s will fit seamlessly without any modifications, in or out of your car in 60 seconds or less. Stays in place when lowering or raising your top. The wind deflector can stay in place with the top up or down, most owners never remove it. When needed, the wind deflector easily stores in the trunk in the free storage bag. Wind deflector, windstop, wind screen or wind blocker … whatever name you use, this essential convertible accessory is the single most effective and unobtrusive way to reduce strong and noisy wind gusts while driving your convertible. Instead of the wind blowing through the cabin of your car, up to 75% of the wind is diverted over the back of your convertible, so you can soak up the elements instead of being at their mercy. What do you have to lose, besides loud and uncomfortable winds? 90 Days Money-back Guarantee: If you are not completely delighted with our product, simply send it back within 90 days for a hassle free refund. 1-Year Warranty: We stand behind the quality of our wind deflector with a full 1 year warranty on a full craftsmanship and performance. Don’t let the wind spoil your drive! Redirect it easily and affordably with a Convertible Wind Deflector.